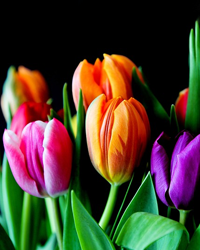 Doris L. Saulsbury, 89, Richland, passed away peacefully on April 11, 2019 at Memorial Medical Center. Born January 15, 1930, in Johnstown, daughter of Glenn and Ada (Ebersole) Ellenberger. Preceded in death by parents; and son, Robert. Survived by daughters, Donna (Terry Daniels), Ocala, FL; Terri (Paul Denk), Westmont; Pam (Colin Roxby), Windber; and daughter-in-law Patricia, Vinco; and grandchildren, Betsy, Terry, Brianna, Courtney, Benjamin, Jonathan, Justin, and Jared; and 11 ½ great-grandchildren. Sister of Robert (Myra); and Janet, widow of Paul Saylor. Doris was a tough cookie with a quick wit. She loved spending time with her family, especially her grandchildren and great-grandbabies who were the light of her life. She also enjoyed family trips to the beach, chats with her sister, shopping trips (almost anywhere), serving her famous noodles during holidays, and weekly visits with her dear friend Doris. She was a member of Scalp Level Trinity United Methodist Church. Friends received 2-6PM Sunday at Henderson Funeral Home-East Hills, 2503 Bedford St. Funeral service will be held at 11am Monday at Scalp Level Trinity United Methodist Church with Pastor James Sands officiating. Interment, Richland Cemetery.